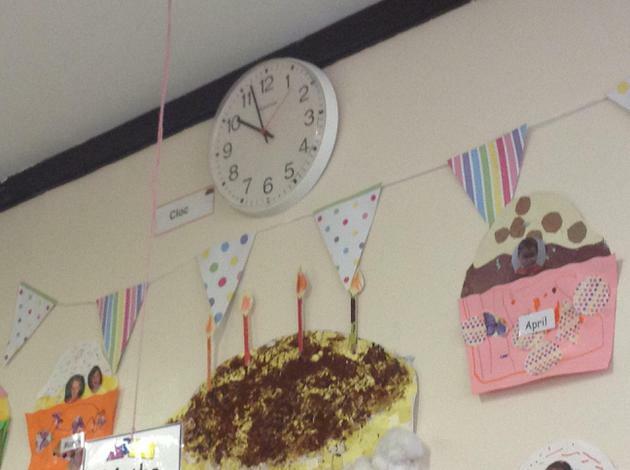 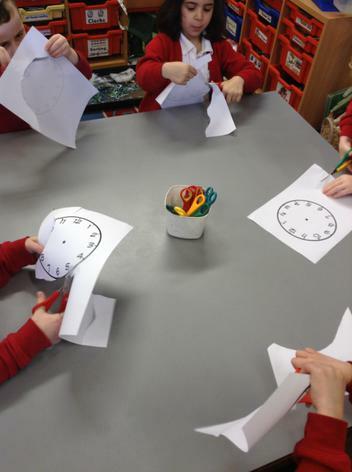 There was great excitement in class this week when we all noticed the red second hand and the long, black minute hand of the class clock- moving! 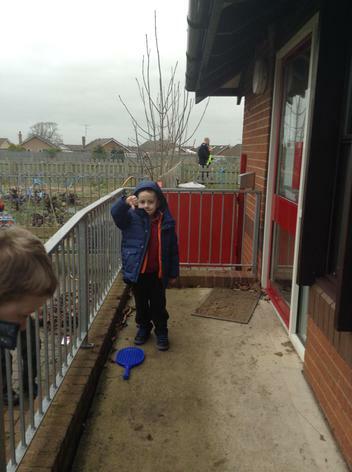 The red one seemed to be on the move all the time but the long black one, did a funny little twitch every now and then and made us all shriek. 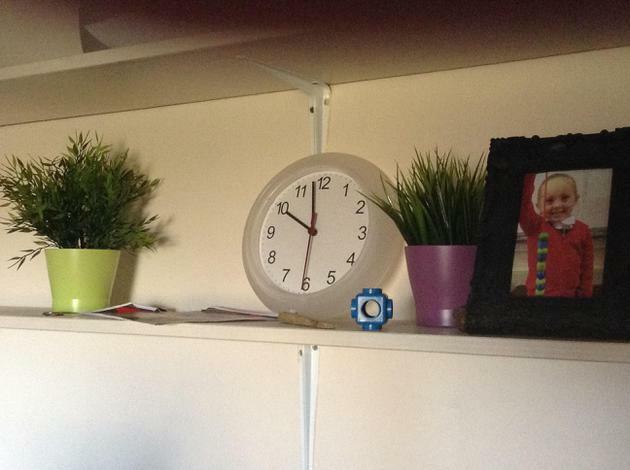 The short, black hour hand moves -but not when we're looking…or so it seems. 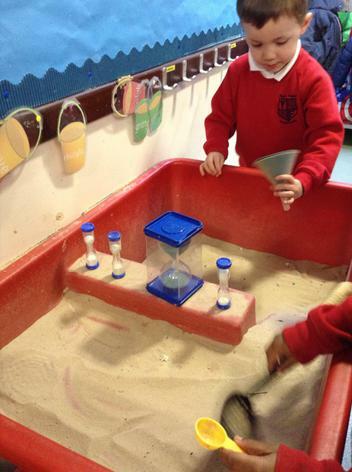 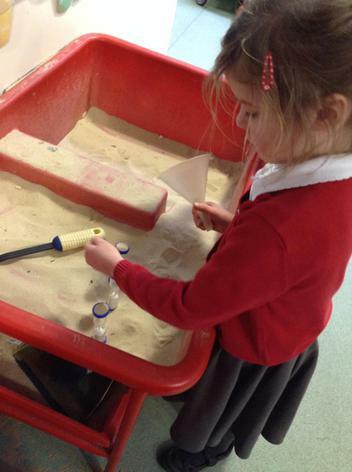 We looked carefully at the sand timers in our classroom too and then tried to make our own in the sand. 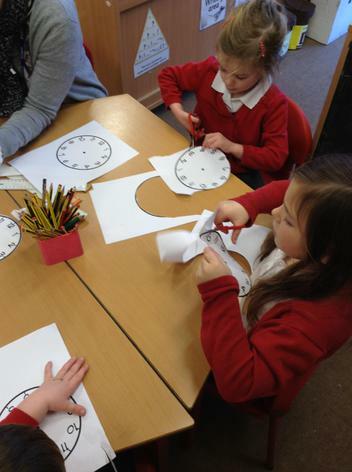 We searched all over the school for clocks and watches and then we used our cutting skills to cut out our own clock face. 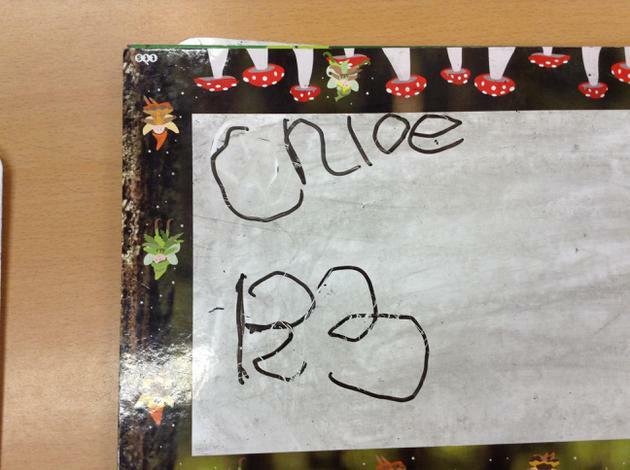 The numbers 1-12 were on it but we had to use a ruler and pencil to draw in two hands, one shorter than the other. 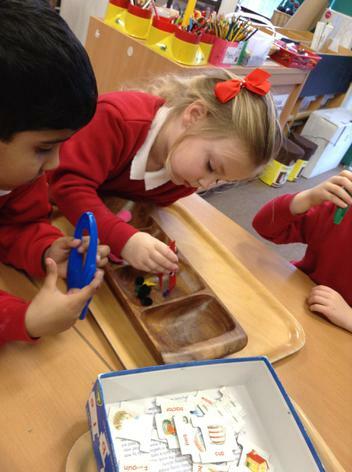 Using the ruler was trickier than we’d imagined. 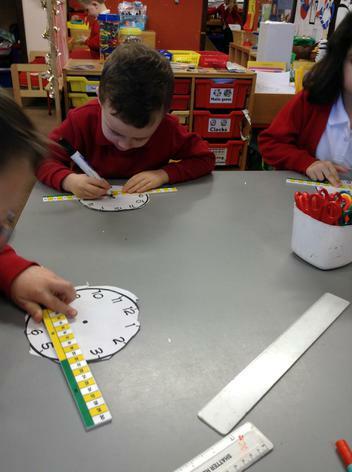 We need to practise drawing straight lines. 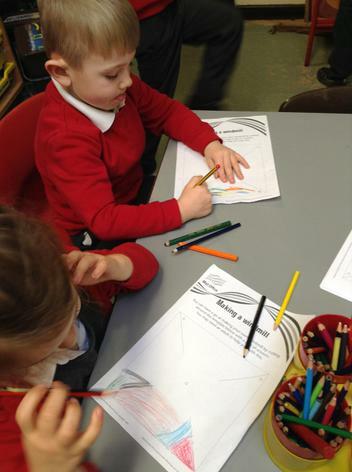 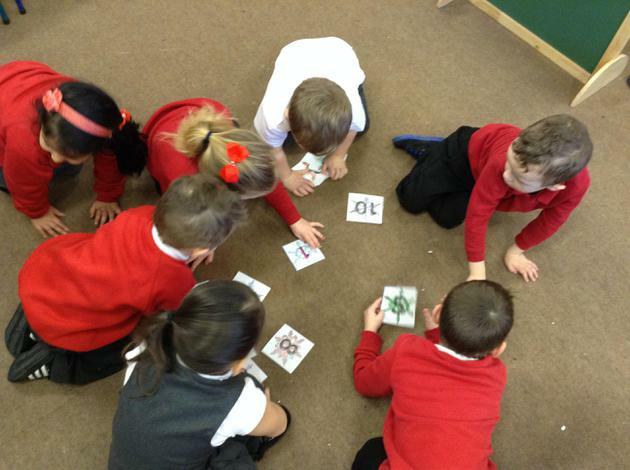 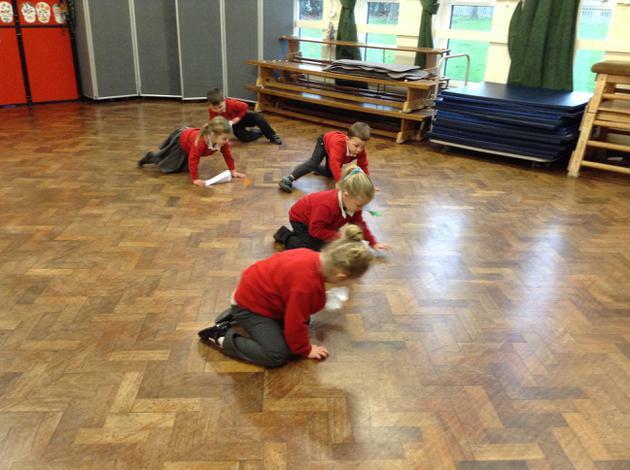 Miss Jones helped us stretch our imaginations and suggest different interesting words to fill in blanks in sentences. 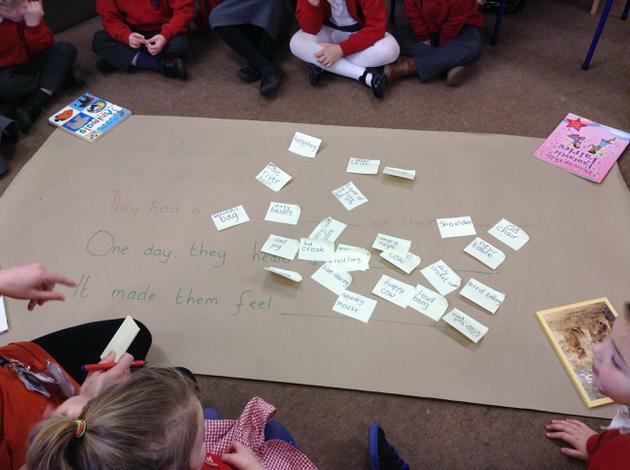 We followed the 'top tips' and we created amazing sentences. 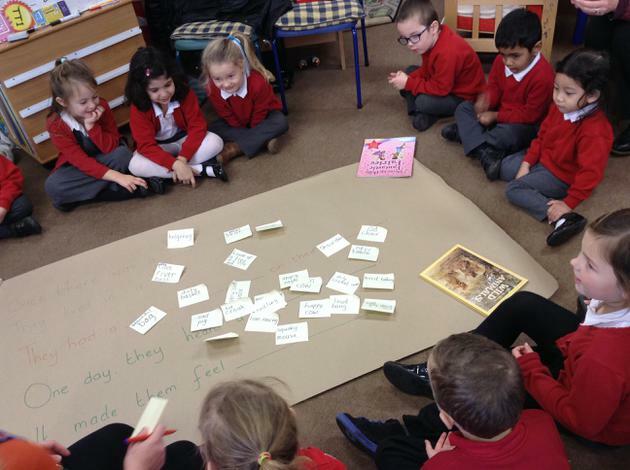 We covered a massive sheet of paper with post-it notes and only stopped sharing our fabulous suggestions because the bell went. 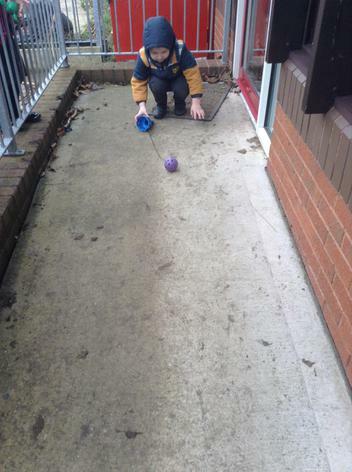 We walked out of class knowing, we are amazing. 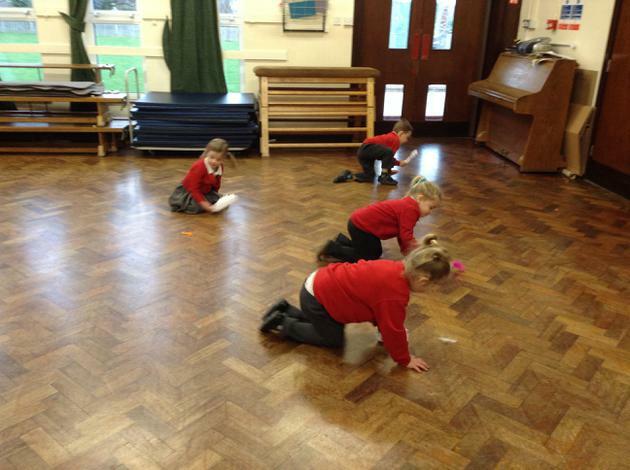 In PE some of us moved like different animals. 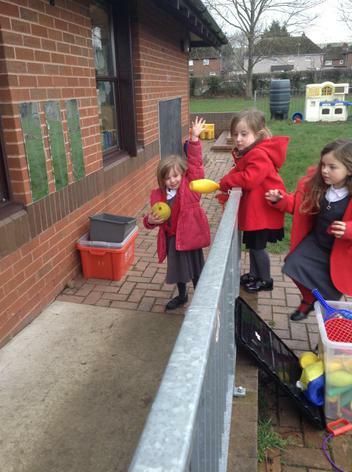 We also did some balance work on benches. 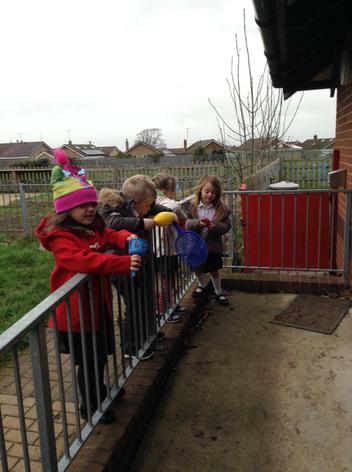 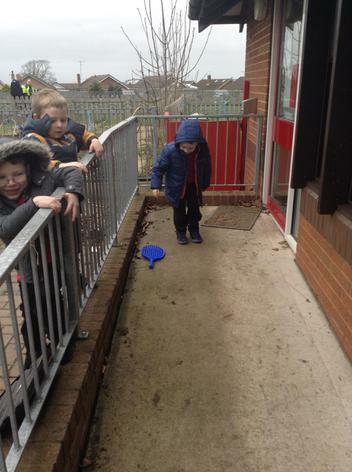 We were very proud of ourselves for following instructions carefully and staying safe. 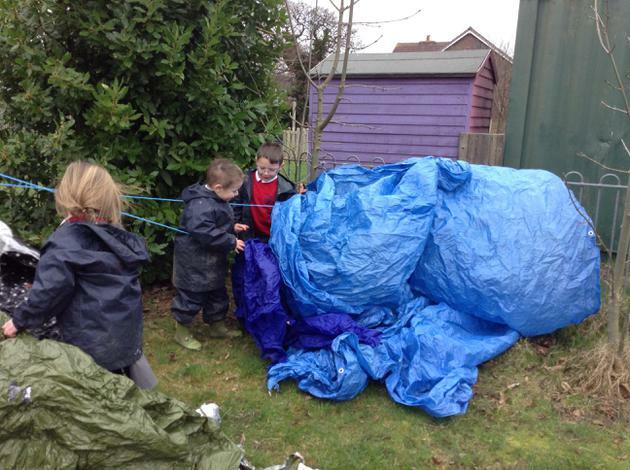 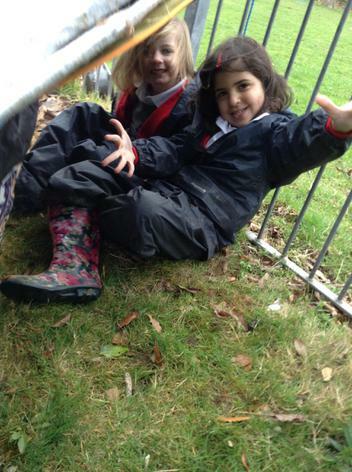 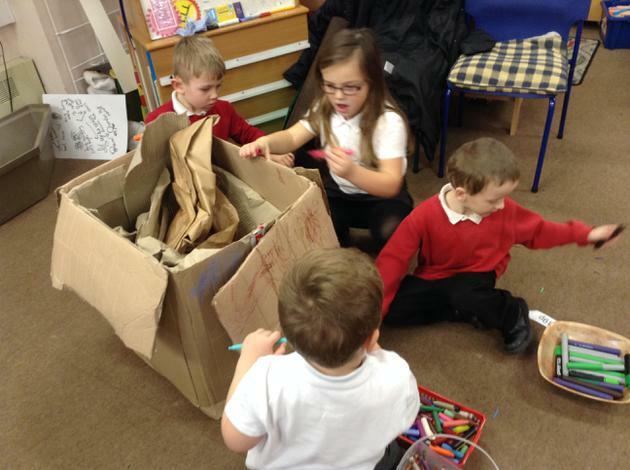 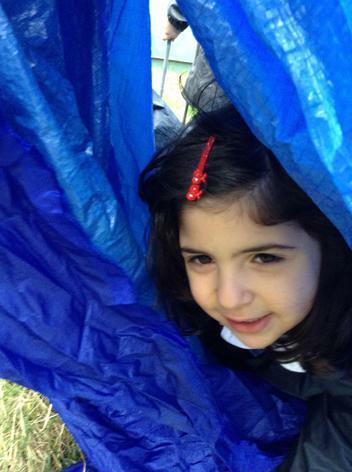 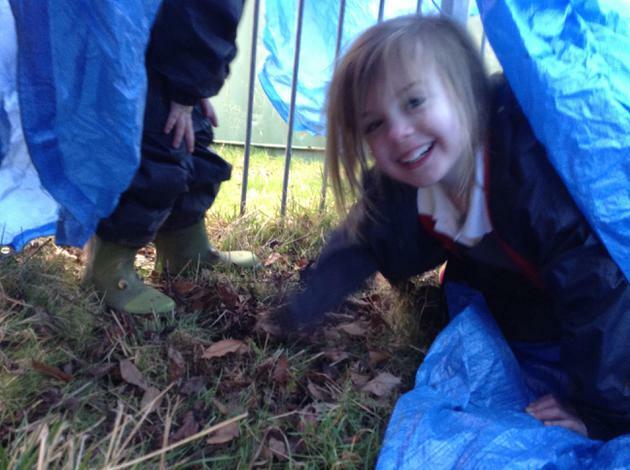 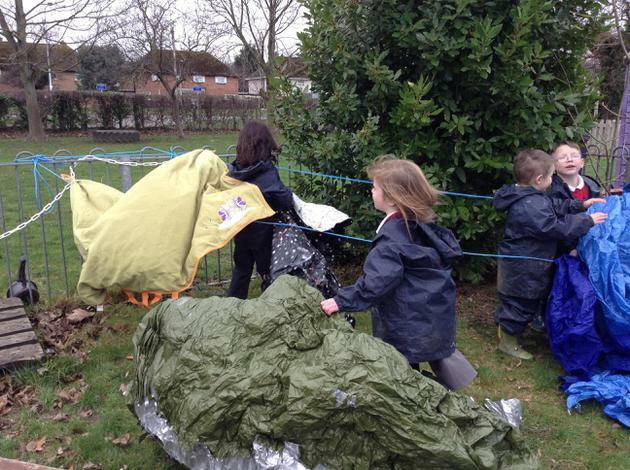 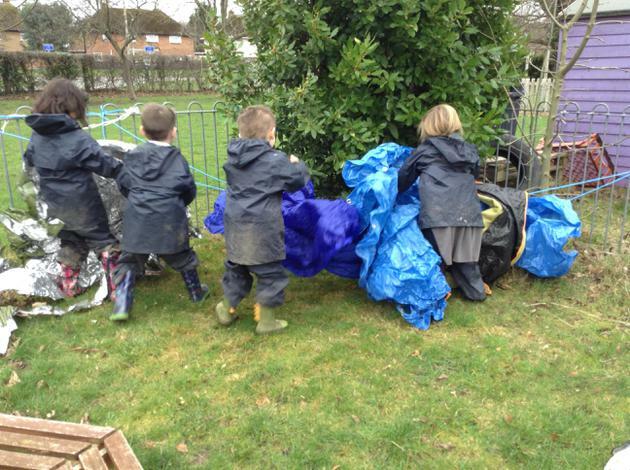 Inside and outside, we built bear caves with all sorts of different materials, working together in small groups to make sure all the caves were brilliant. 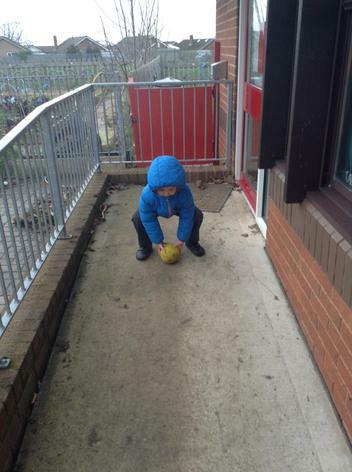 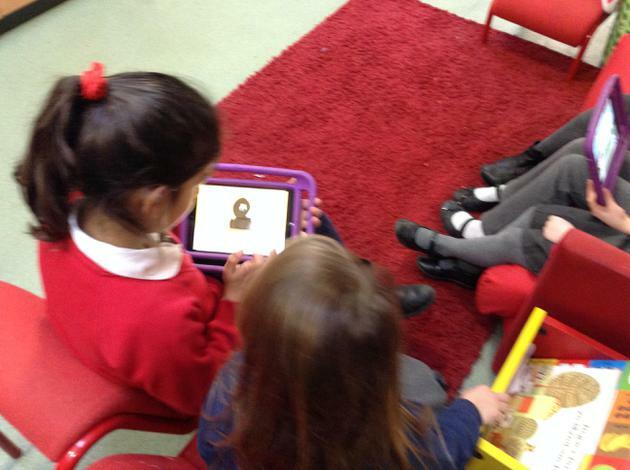 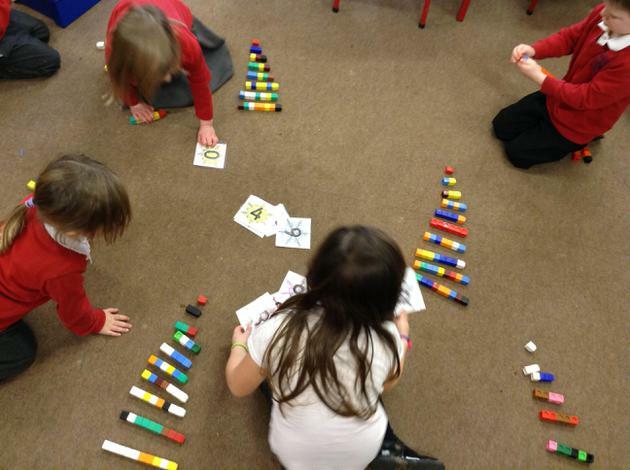 We played a game ‘Higher or Lower’ with numbers 0-10. 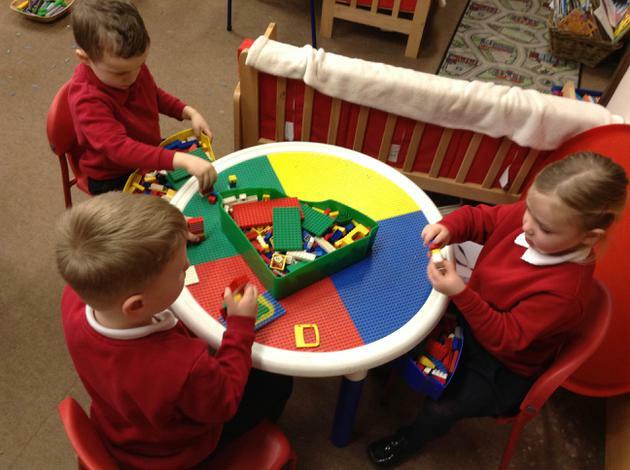 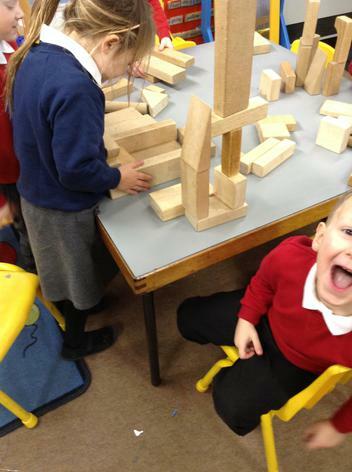 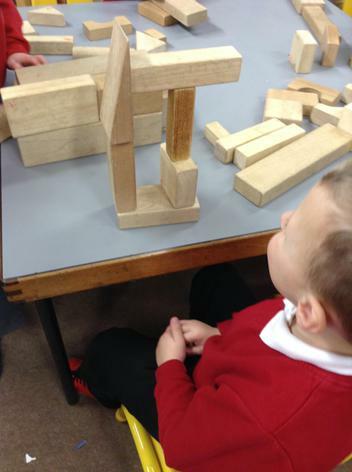 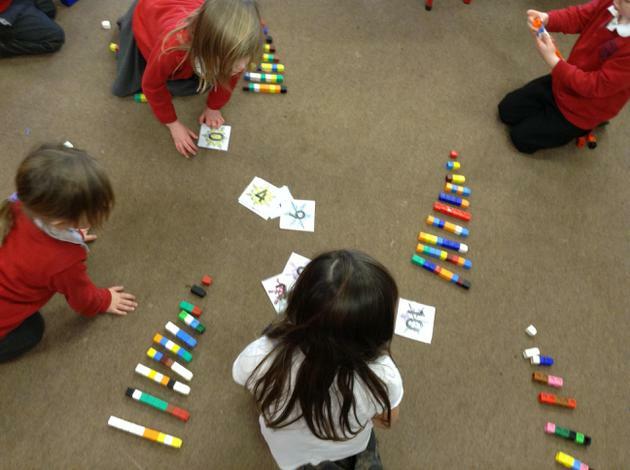 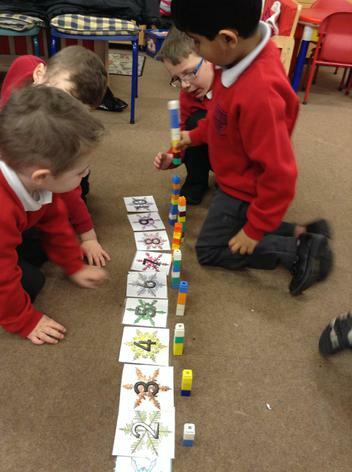 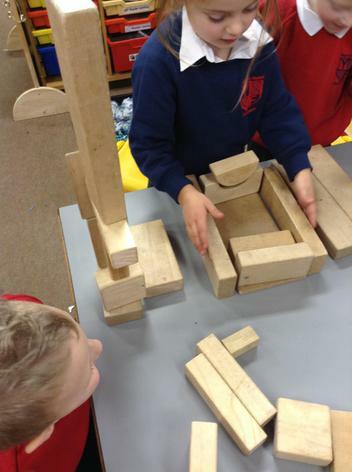 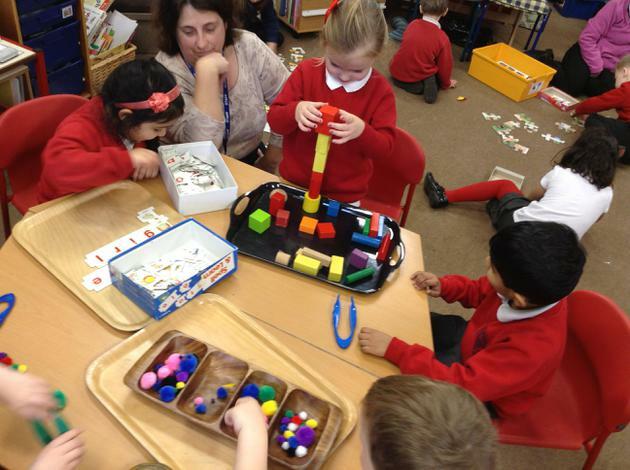 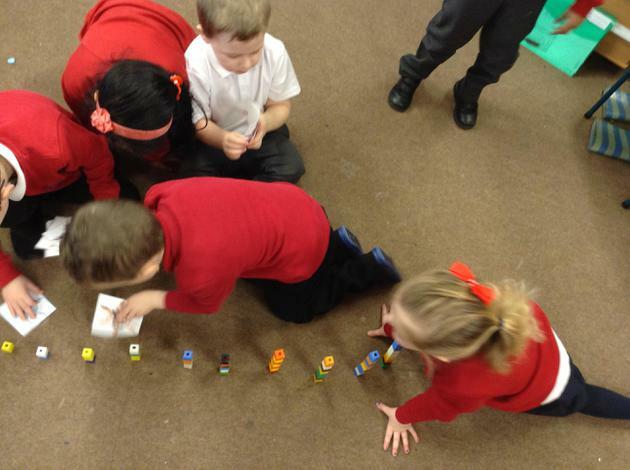 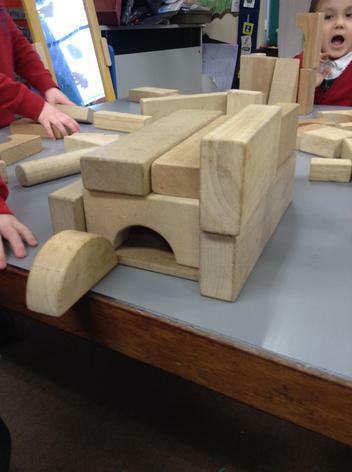 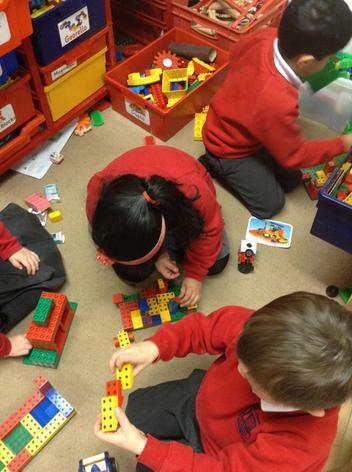 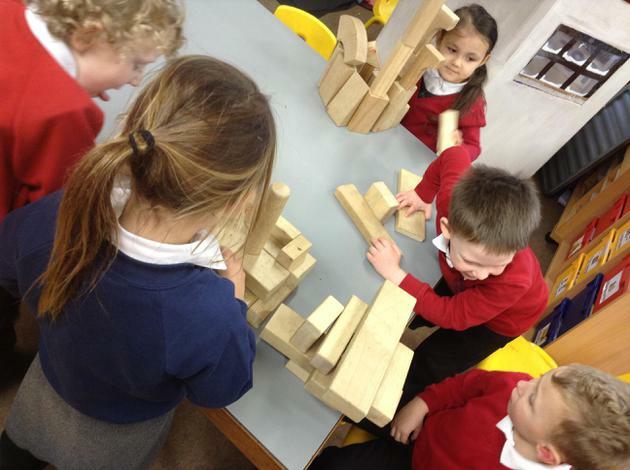 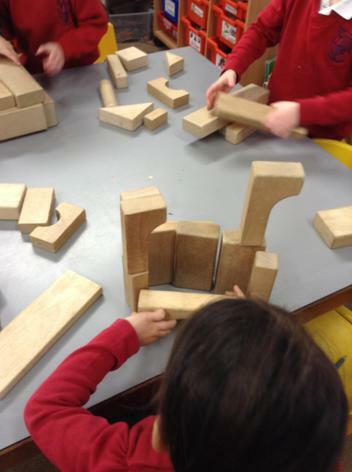 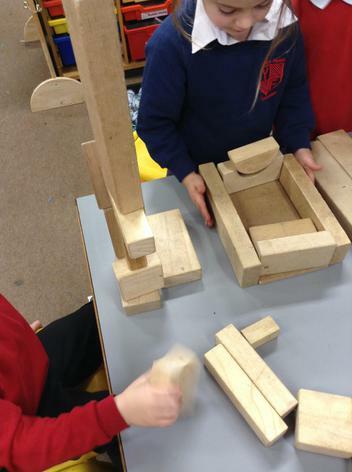 It was tricky and we had to make, and then look carefully at different towers of blocks to get the idea of higher or lower, more or less- it was tough. 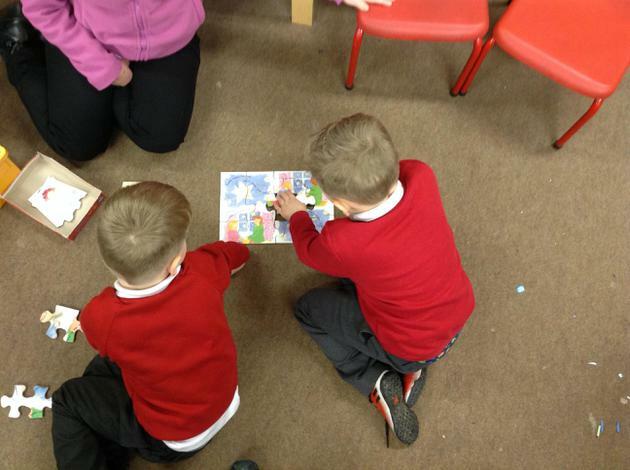 He helped each other and shouted out answers to Miss Jones- she thought we did well but we couldn’t get it right every time. 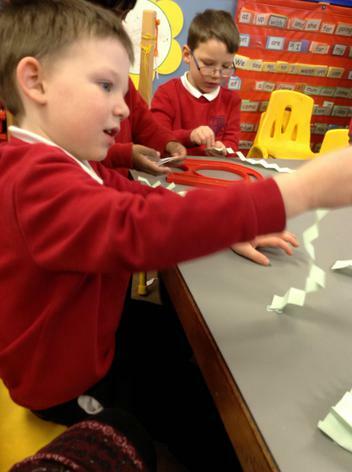 We made paper concertina snakes with paper-clip tongues and then used magnets to make the snakes dance- it was hilarious. 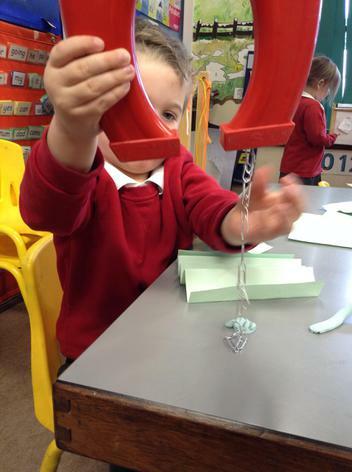 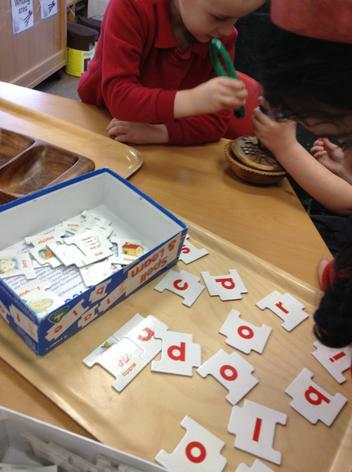 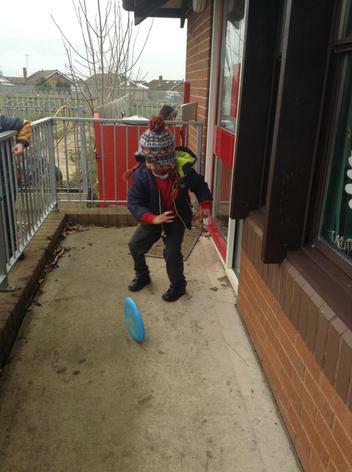 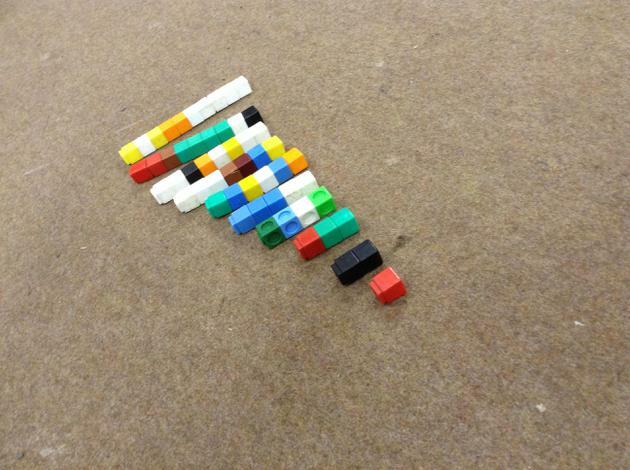 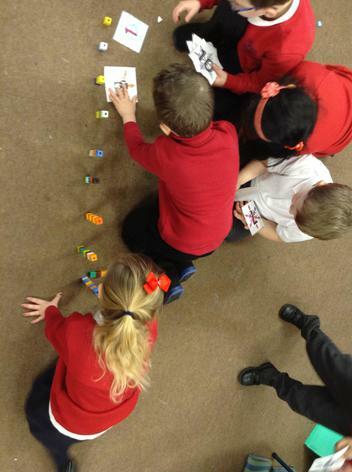 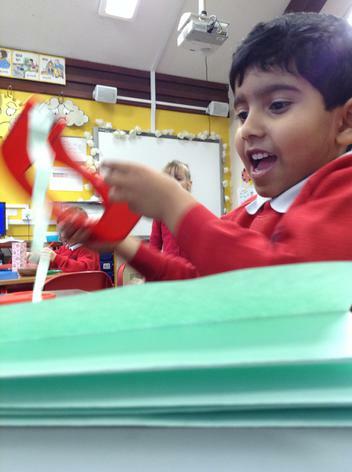 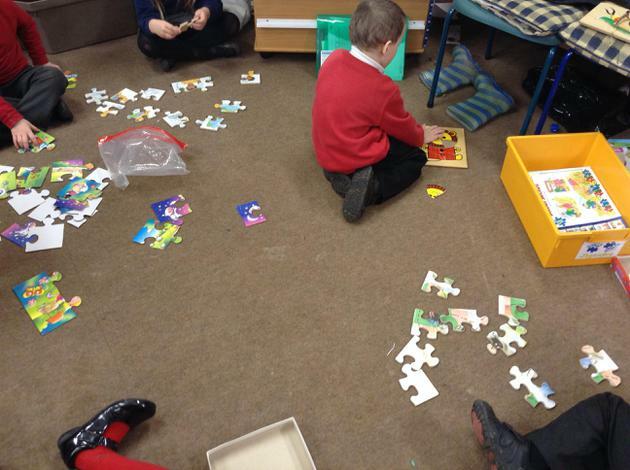 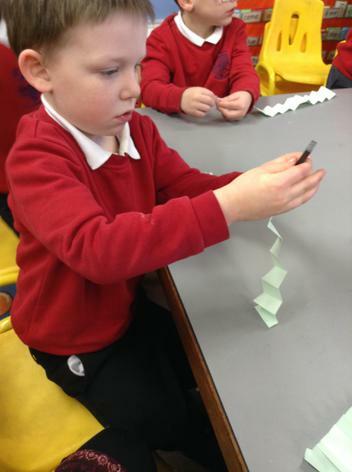 We then tried out other stuff in our classroom to see if they stuck to a magnet- not everything did. 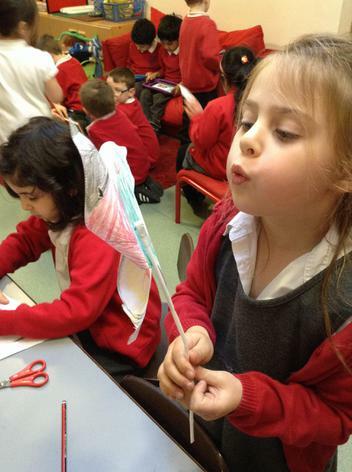 We used our paper folding skills to make fans and then used wind power to waft feathers about in the hall. 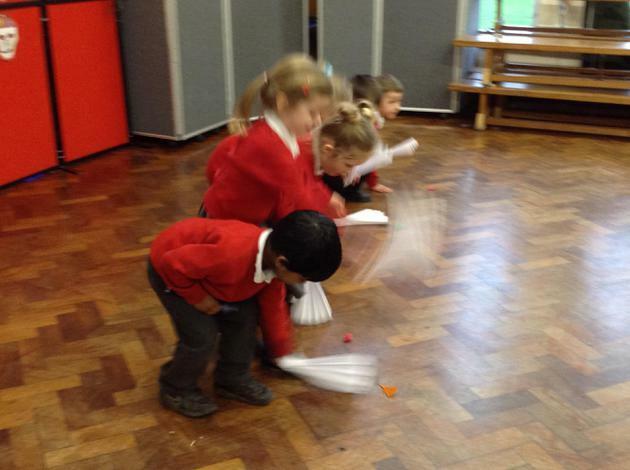 We had to flap our fans fast to move our feathers. 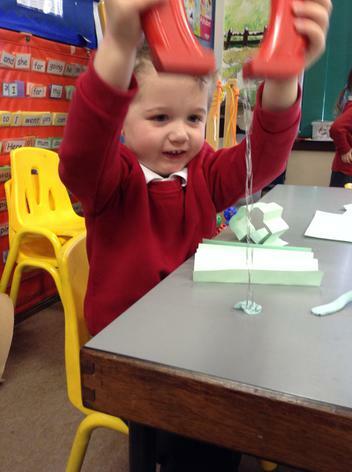 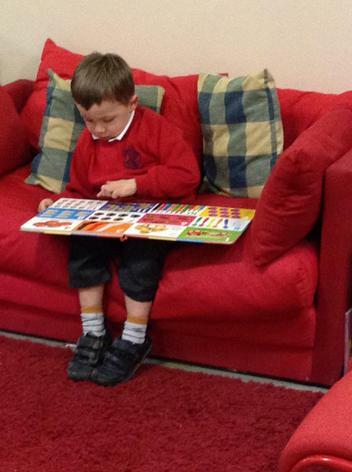 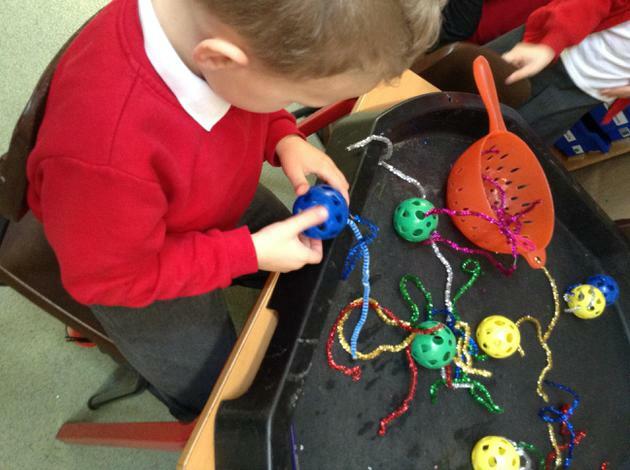 Our little fingers have been flexing and squeezing lots of things to improve our control and our muscles. 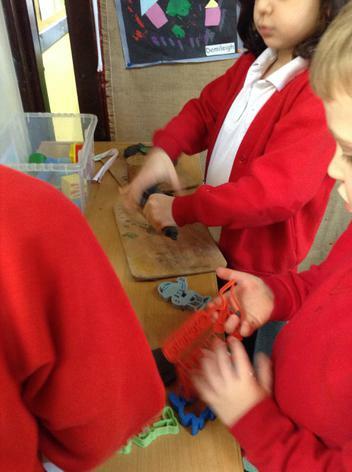 We’ve threaded, picked up with tweezers, hammered, moulded and poked all sorts of things. 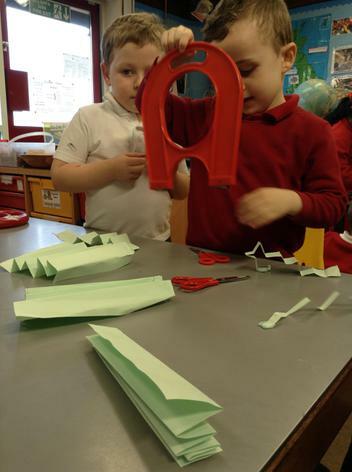 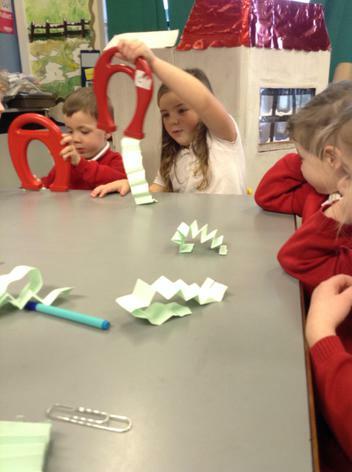 We have used some of the skills we learnt last week with our teachers, to independently make our own windmills this week. 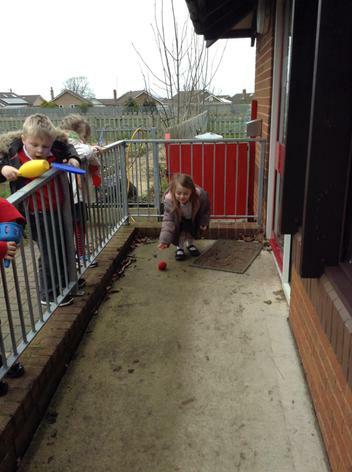 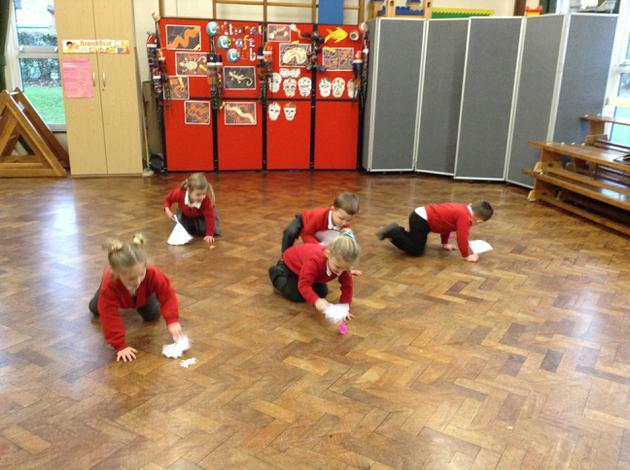 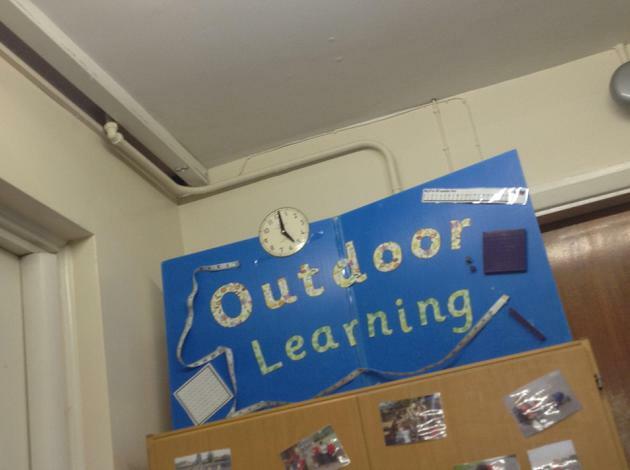 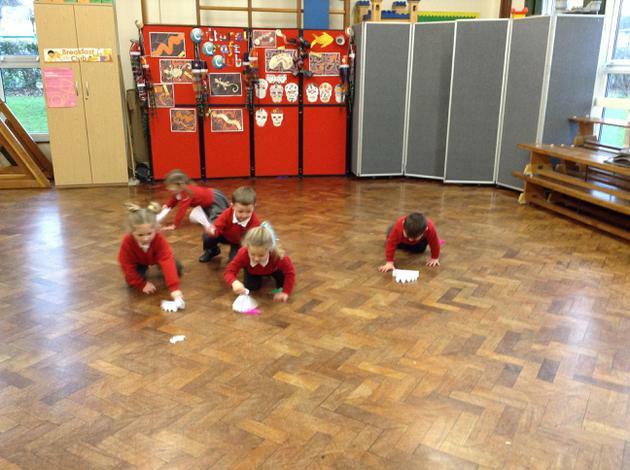 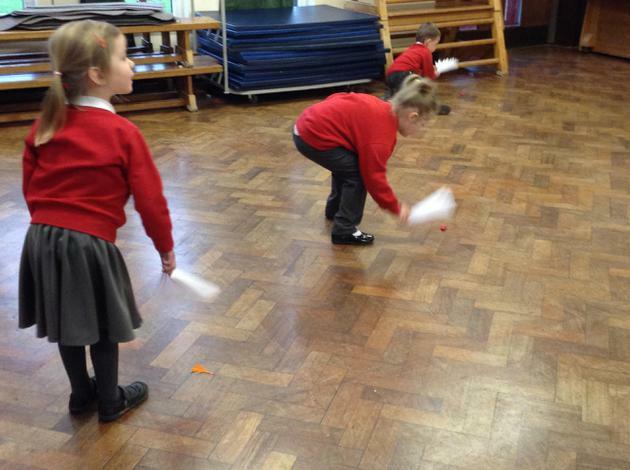 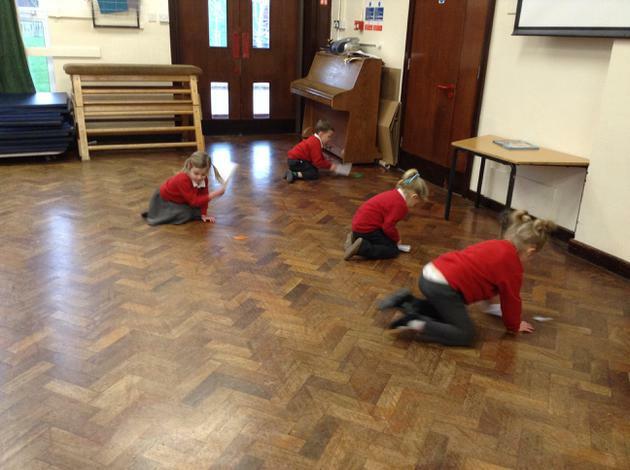 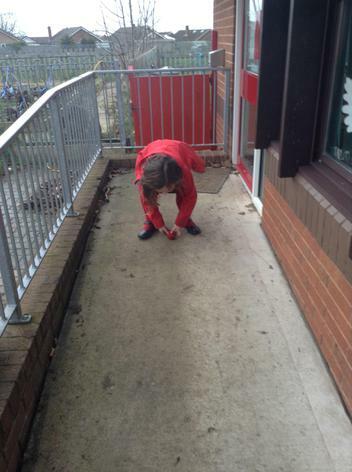 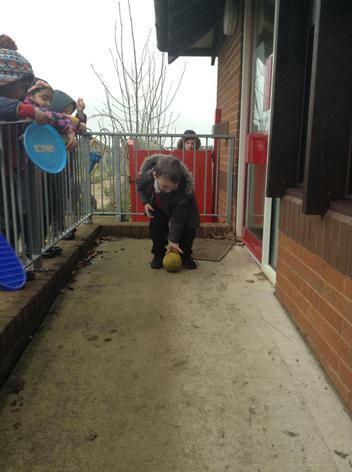 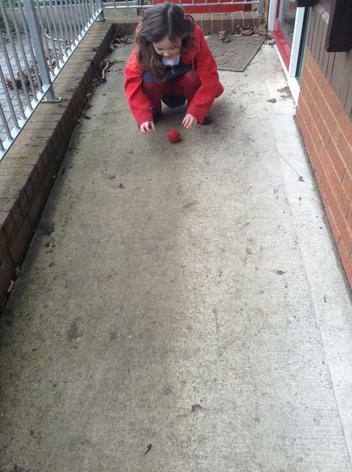 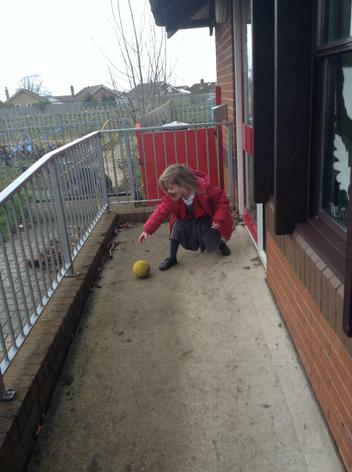 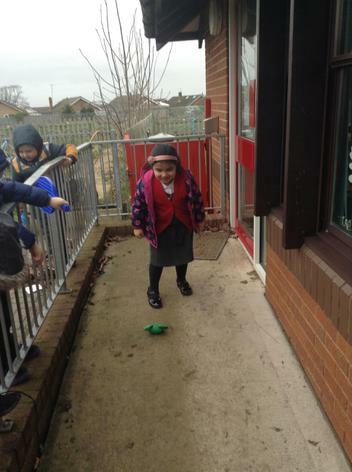 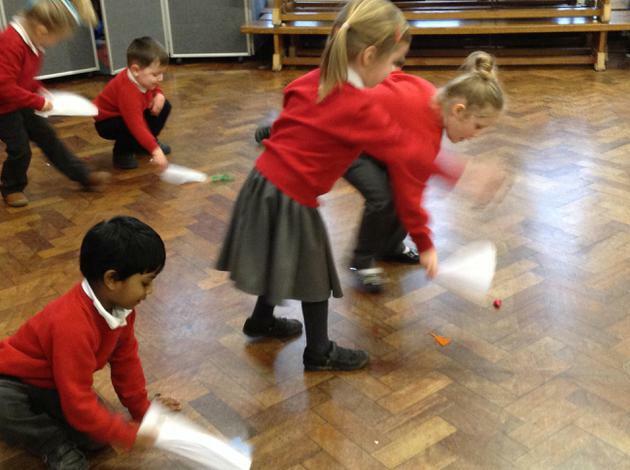 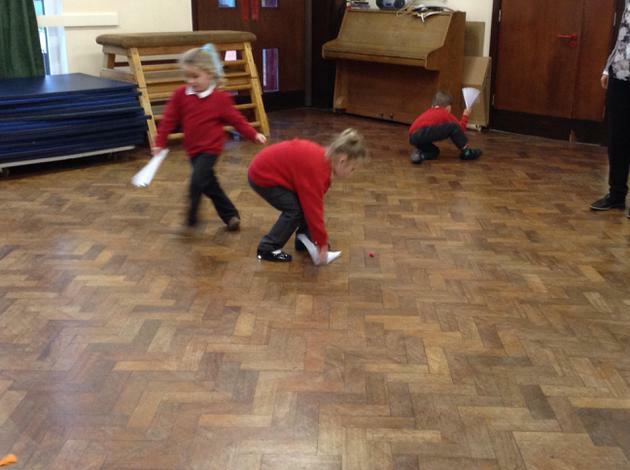 As a follow on to an investigation into things that roll in a straight line, Miss Jones had some of us flinging things that roll, through big blobs of paint on a GIANT piece of paper (outside)- it was funny and messy and made our arms ache (after a bit). 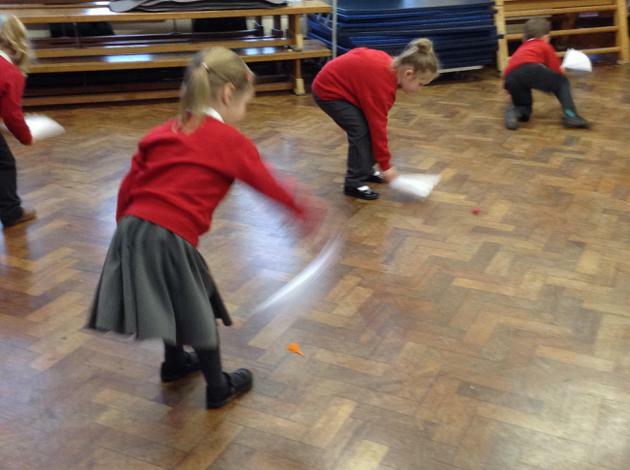 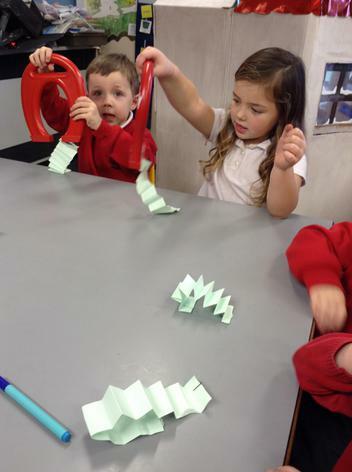 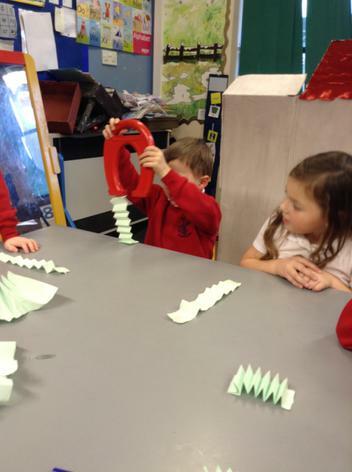 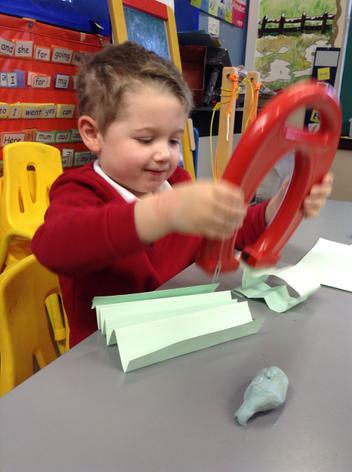 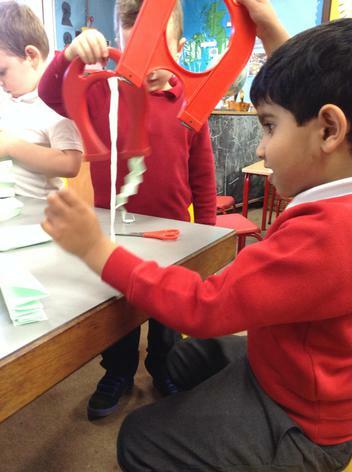 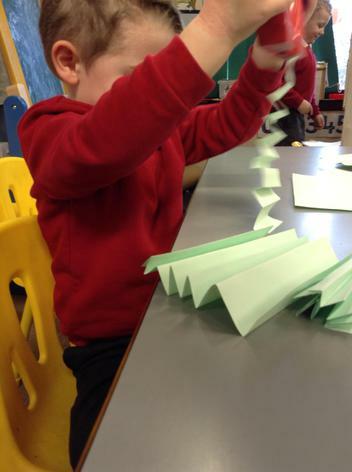 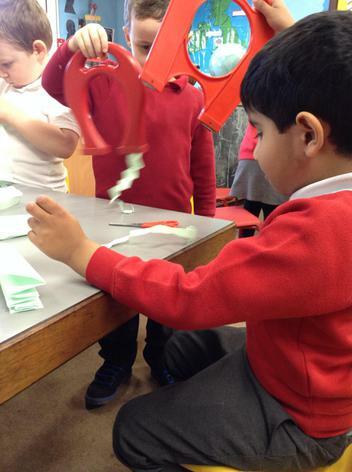 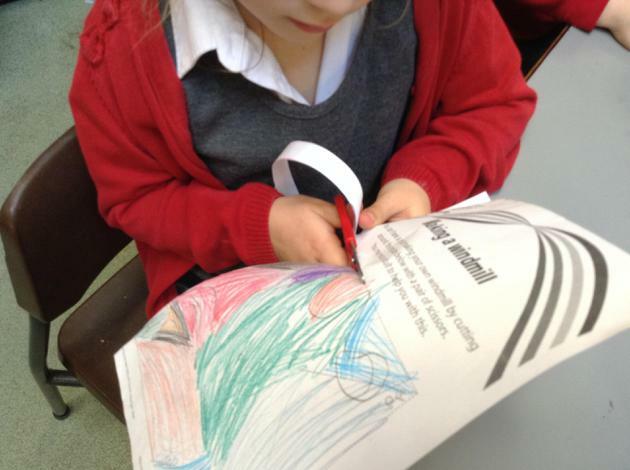 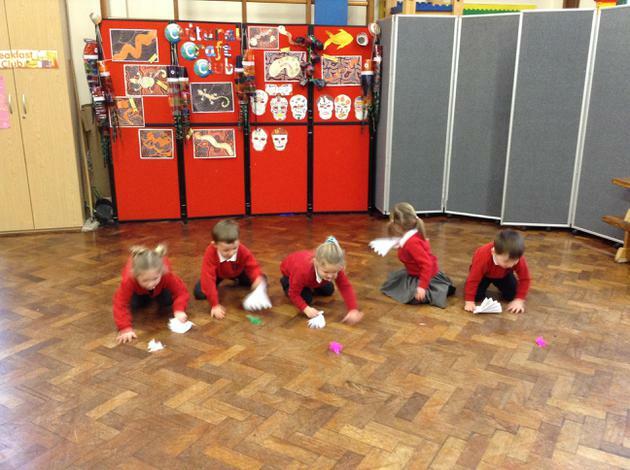 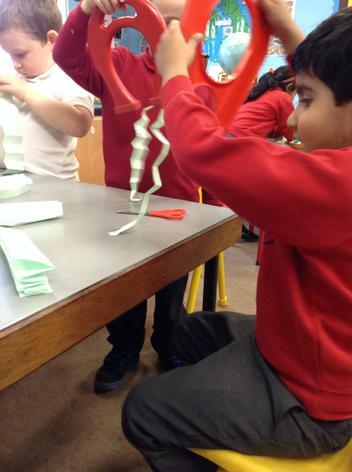 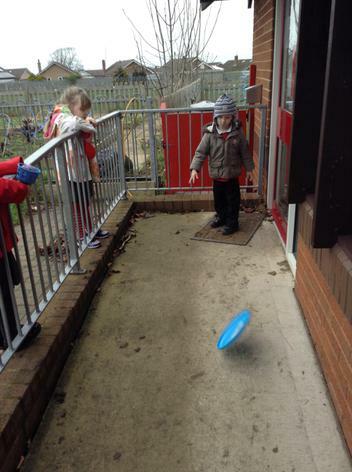 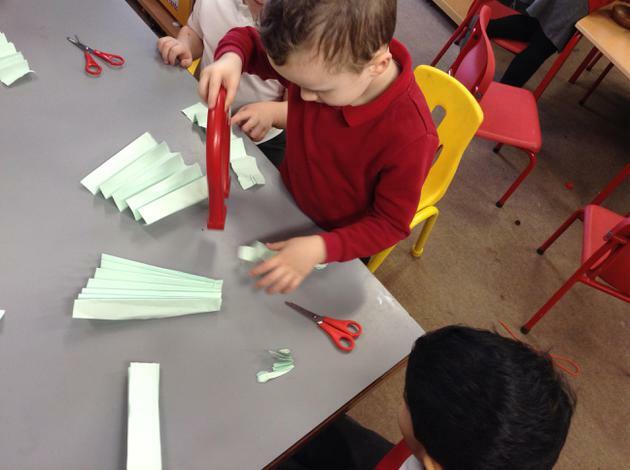 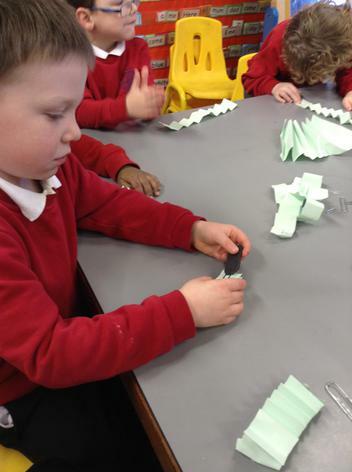 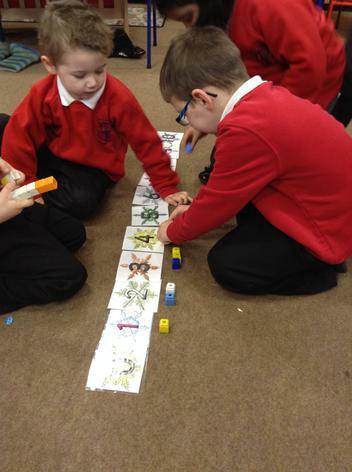 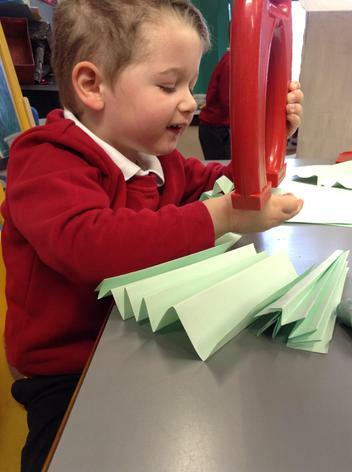 We had to use loads of force to make sure the things rolled to the other side of the paper. 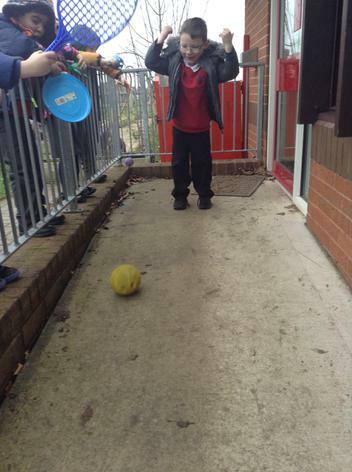 We might have very strong arms by the time we go to Miss Cooper’s class. 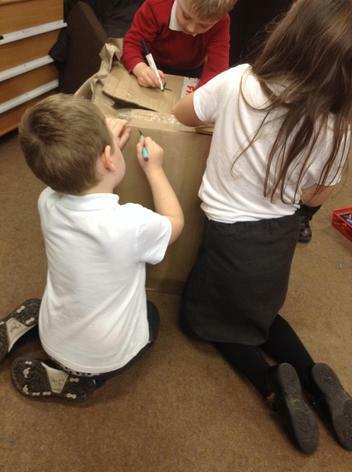 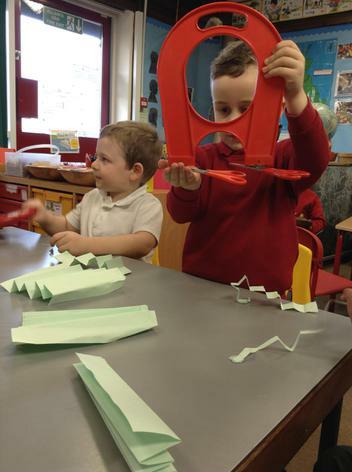 We have also been exploring things that float and things that sink. 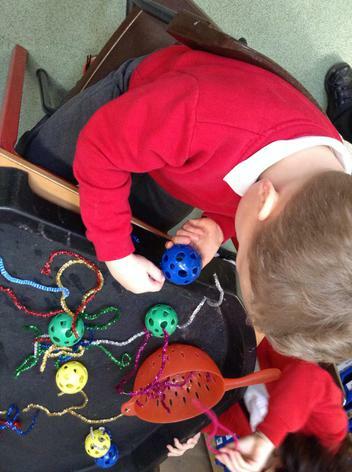 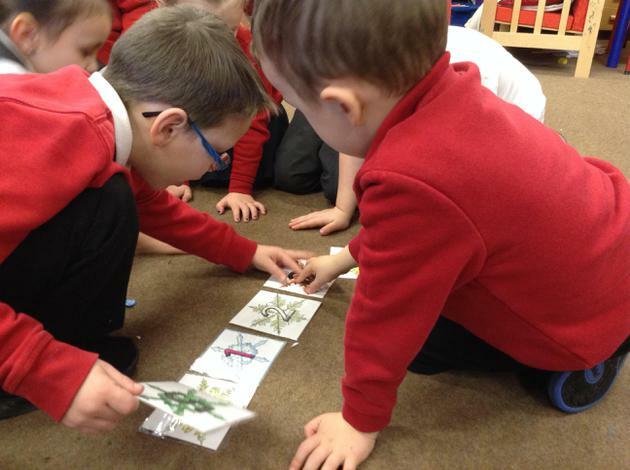 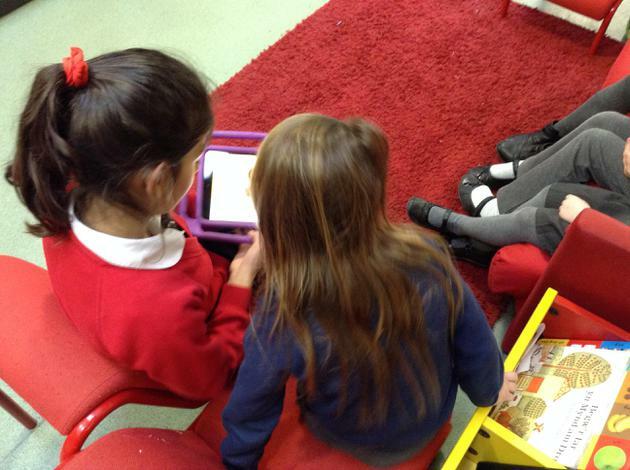 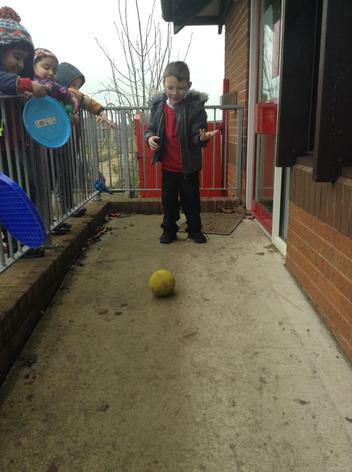 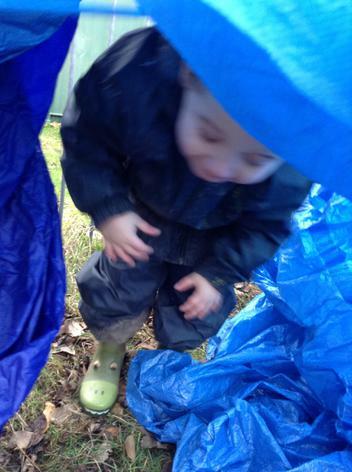 By looking carefully at the things around us, we can pick up lots of knowledge and Miss Jones says that makes us little scientists, engineers and explorers. 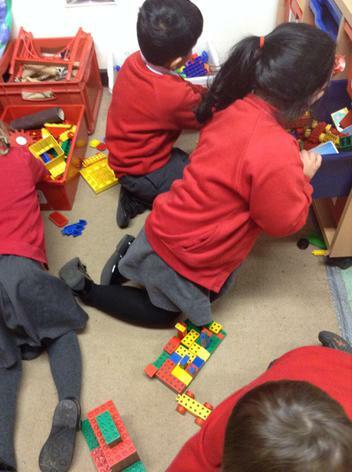 It also makes us quite tired at the end of a busy day.